Do you ever find yourself thinking about a half-remembered book or article but can’t for the life of you find it again? I do that all the time, so I’m making blog posts like this to jog my memory and boost some interesting works I’ve read lately. This is a YA anthology for Australian marginalised authors. A wide cross-section of people are included here and many authors have more than one marginalisation. This is a great option for reluctant readers since it’s easy to read in small chunks. There were one or two stories I disliked, but the beauty of an anthology is that you can just skip a section if it doesn’t appeal to you. 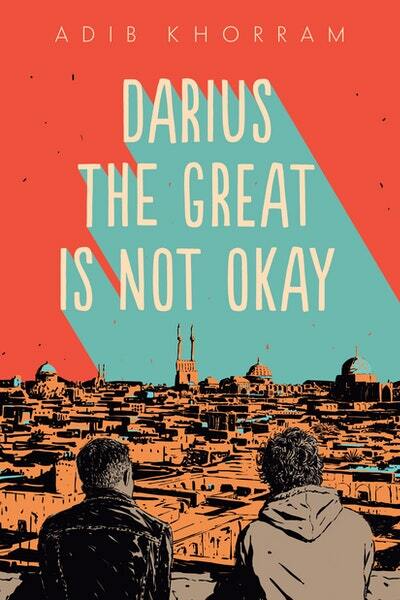 This is an Own Voices contemporary YA novel about a biracial Persian boy called Darius, who also has depression that he inherited from his white father. I really like the deconstruction of toxic masculinity throughout this novel and the complex exploration of family, friendship and identity. Also, Darius loves Star Trek, Lord of the Rings and tea, all of which is weaved into his narrative voice in fascinating ways. I read this as an audiobook through Borrowbox and it was of excellent quality. This is a good collection of information about digital tools you can use for various purposes, such as creating graphics, presentations or infographics. There are also tools used for curating and websites good for finding images. I’ve mostly skim-read this at the moment but I want to save it for later. This may be a useful resource for theatre students, auditioning actors or anyone interested in queer theatre. This is the announcement post that includes the top ten for adult, YA and children’s fiction. You can also access longer lists through here. I was pleased to see a few books I knew on the teen fiction list. This post is easily set out with clear headings for each tip Lindsey has for choosing songs and rhymes for storytime. It’s good to know that repetition is encouraged and she also provides ideas for flowing between sedentary listening and getting kids up and moving. Published in the Journal of the Australian Library and Information Association (JALIA). Free access at this time of writing. This is an aggregation of many writings, studies and ideas about the phenomenon of library anxiety, but I find this one much easier to read than a similar article I read earlier in the year for a customer service unit. I find it interesting, but unsurprising, that university students experience a high level of anxiety when it comes to using the library. I won’t give everything away, but Shelmerdine’s sources lead her to suggest that library staff are a huge factor in the levels of anxiety experienced by library patrons and should seek to form “meaningful relationships” with patrons to make them feel more comfortable.